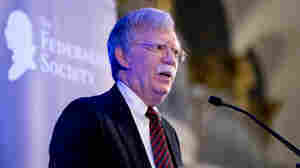 September 10, 2018  National Security Adviser John Bolton says the U.S. will do all it can to protect Americans from ICC action — calling the proposed investigation of war crimes in Afghanistan "utterly unfounded." 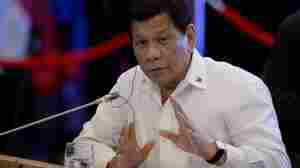 March 14, 2018  The move comes after the ICC opened an investigation into Philippine President Rodrigo Duterte's war on drugs. 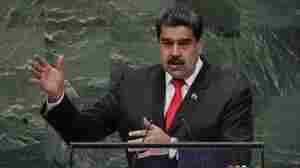 Withdrawing does not keep the country from facing charges of human rights abuse. 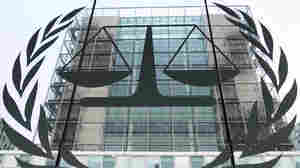 February 22, 2017  In a blow to the government, the court ruled that the executive didn't have the power to order a withdrawal without prior parliamentary approval and questioned the "unexplained haste" to quit the ICC. 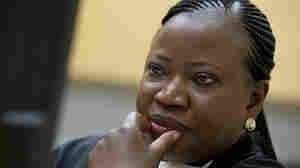 December 5, 2014  But the chief prosecutor of the International Criminal Court reserved the right to bring new charges against Uhuru Kenyatta. 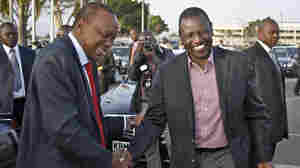 The Kenyan leader said he was excited and relieved at the decision. 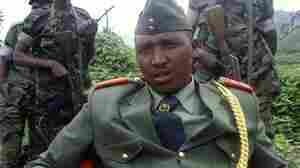 Will Congolese Warlord's Weirdly Civil Surrender Get Fellow Rebels A Free Pass? March 19, 2013  Bosco Ntaganda showed up unexpectedly at the U.S. Embassy in Kigali. 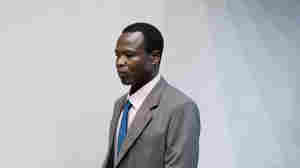 While officials puzzle out the details of transporting him to his new detention cell in The Hague, others are wondering if his former cohorts — still pillaging Eastern Congo — might use the arrest to broker their own impunity.